Tell us what services you’re interested in or ask us any questions you may have. You’re a successful, thriving business – what’s the next step? It’s time to set your sights even higher. We’ll help you design and implement a comprehensive, strategic plan for expansion, and continued success. If you’re a little behind on your accounting, that’s where Cornerstone comes in. Our team of QuickBooks experts can hit the ground running with your books, no matter what state they’re in. We’ll continue to operate your books in an organized and diligent manner to ensure you always have a clear picture of your business’s performance. When you choose our CFO Services for your Successful Operation, you’ll have the option to get our bookkeeping offerings plus any of the services below. We’ll help you assess your operation’s needs to find out which will be the most effective for your business. When you work with Cornerstone Hospitality, we help you take advantage of our years of well established connections to get deep discounts on those cost of goods sold. We tap into our network of exclusive pricing to save your business money and increase your restaurant’s bottom line. A business growth plan is vital to any restaurant’s long-term strategy. Our plan will completely assess every revenue opportunity for your business and provide a full promotional and marketing program that will jumpstart your growth. With full transparency and competitive pricing, we provide payment processing solutions for debit and credit card processing, electronic check processing, gift & loyalty programs, e-commerce solutions, mobile payments (smartphone and tablet), point of sale solutions and a comprehensive chargeback merchant processing system. We gather critical customer and competitive data to better position your brand and increase your potential. Knowing your competition means it’s easier to get one step ahead of them; and we’ll help you get there. Working smarter is the only sustainable way to grow your business while maintaining profitability and efficiency. 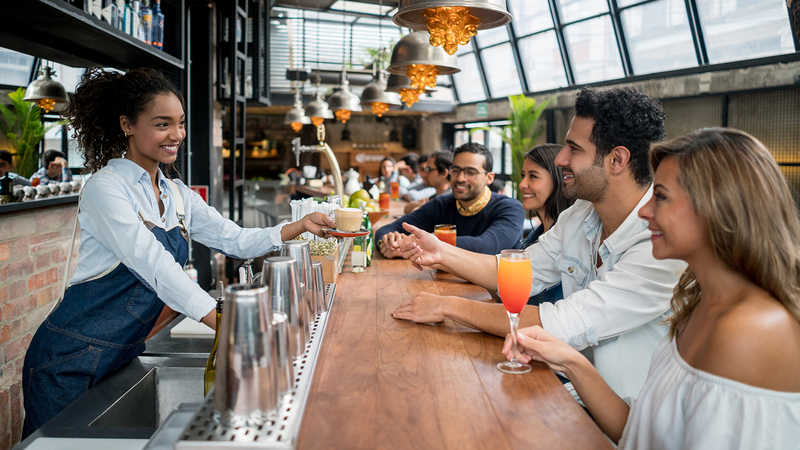 Cornerstone will provide a full operations review and audit, and then provide you with a comprehensive game plan that will both improve your business’ efficiency and your guest’s experience. Entering growth mode and adding new operations is all too often the demise of incredible companies and concepts. Cornerstone will completely review your operations, business structure and model, resources, corporate/central controls, and unit performance to create an effective Business Growth Plan that will protect your cash flow and investments during expansion. We monitor the pulse on how sales are performing then, in response to that information, we determine how much labor is needed. Knowing the quality of your customer’s experience is essential to running a successful restaurant. We’ll send team members out into the field to really analyze what a daily experience is like at your restaurant; from the service to the quality of food and everything in between. We’ll streamline your entire vendor management system. We’ll help you consolidate overlapping vendors and cut down on the number of people you have to deal with, and negotiate with them if necessary to reduce your operating costs. We help you figure out where costs are too high and where you can save money. With our experience in the industry, we understand industry standards for pricing and will help you get the most for your money. We help you expand your menu offerings by creatively utilizing your current inventory to craft a selection that will not only delight customers, but evolve along with your successful business. Our team will audit your current policies and procedures to ensure their efficiency and determine if they are relevant for long-term success. Procedures are at the heart of a restaurant’s day-to-day operations, and we’ll make sure your policies are delivering the outcome you intended. We’ll make sure your building lease is up-to-date and your rental rate is industry-standard. Too many restaurants lose money on their restaurant lease, and we’re here to advocate to the landlord on your behalf to make sure you’re not paying too much. When you choose to opt in to our Daily Operations Partnership for your Successful Operation, you’ll get everything your business needs from our Bookkeeping and CFO Services. We will step in and advocate for your business as our own, making this option ideal for investors or multi-unit owners. With the Daily Operations Partnership, you can focus on what they really want to do and enjoy all of the benefits of being a successful operator without getting caught up in the stress of daily operations management. We can help you determine where to invest for expansion, which groups to partner with, and what people to hire. We’ll take over every aspect of management, and won’t bog you down with the details. The goal with our Daily Operations Partnership is to make you the most money possible while still keeping the operation running smoothly and efficiently. Our success is your success. We’re going to give it everything we’ve got! Whether your San Diego business is a New, Struggling, or Successful Operation, we’re in your corner. We are happy to create custom partnerships that cater to each business’s specific needs and goals. Find out how we can help your business today!